Get to meet the author during one of the book store stops: May 10 (National Book Store SM North), and May 17 (National Book Store Glorietta 5). 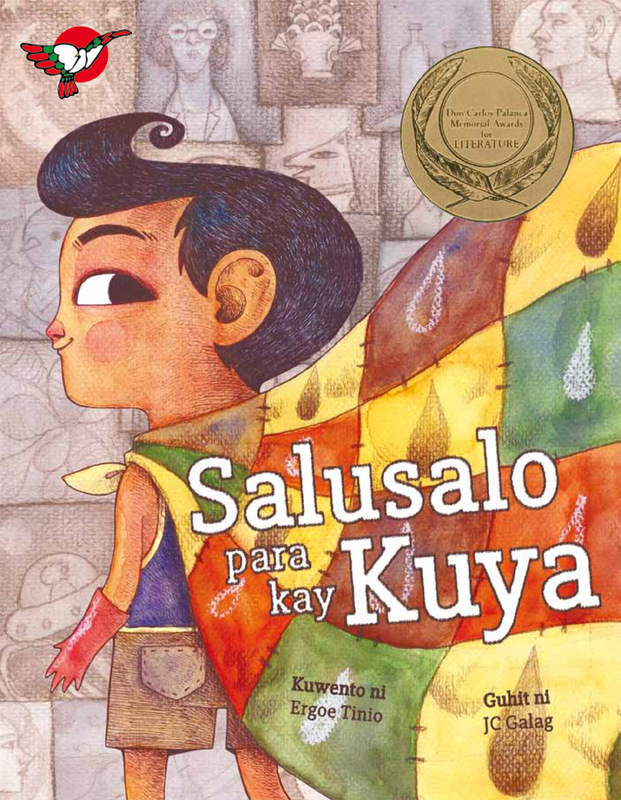 The original Filipino text of Samar’s guest post can be found here. Links mine. I have stated on many occasions that Tony Perez is one of my favorite writers. However, even though the child or youth is featured in his works, one cannot consider his works to be for children or for the young. In his first novel, Cubao 1980, for example, we are introduced to 16-year old Tom, Cubao-raised, and gets into whoring from time to time to allow himself whims and luxuries. Absent here is the traditional romanticization of poverty—although Tom’s family is definitely not living comfortably—instead, the determination of a child to face a commercialized space. He sells his body because of occasional jealousies—for a new watch, or pair of pants—or to go out with friends. This is why the reader is faced with a different challenge upon the publication of his novel Si Crispin (2012). The main character is fictional Crispin, who one initially assumes to be Sisa’s child, the one who dies in Rizal’s Noli Me Tangere. But instead of a continuation of Rizal’s work—similar to what Amado V. Hernandez did in Mga Ibong Mandaragit when he surfaced Ibarra’s wealth thrown into the sea by Padre Florentino at the end of El Filibusterismo—an alternative history is found at the center of Perez’s novel. Here, Basilio and Crispin are the children of Rizal himself, and are positioned as the real inspirations for the characters in his novels. Perez did not just place Si Crispin in an alternative history, present here as well is a fantastic universe, or that which disturbs our notion of what is true. The novel seems like a long incantation, a litany that recognizes the plurality of the bathalas. Several times, I have consciously avoided, even in thought, the Latin portions or bastardized Latin from spells or amulets, because I felt as if something would be summoned, like in Perez’s book about a new oration, or a new tawas, or a new spell for love. This, in my opinion, is what young readers can anchor upon in Si Crispin: the terror in the shadow of darkness that was first explored by Perez in his shorter works like Cubao Pagkagat ng Dilim. However, contrary to books that set the fantastic in an urban setting, Si Crispin brings back the fantastic to the past, the spring of our innocence. In a world that allows for quick forgetting, there is power in the intervention of the imagination. This is miles away from Ceres S.C. Alabado’s Kangkong 1896 which also talks about the period of the revolution against Spain. There is a sharp edge to Perez’s reinvolvement of the archetypes of Light and Dark in his imagination of the past. This is my motivation and inspiration in the writing of my YA Novel series Janus Sílang, and a shade in the shadow of Perez’s creation. A creative intervention is requisite in our history, in our legends and memories, so that we may not be entangled in the convenience of forgetting. At the end of Perez’s novel, the lead character decides to run—to run, and continue running—probably because of the belief that to live is to be in discontent. That the opposite of creation is to be still. Sa tournament ng TALA Online sa bayan ng Balanga, namatay ang lahat ng manlalaro maliban kay Janus. Sunod-sunod pa ang naging kaso ng pagkamatay ng mga kabataan sa computer shops sai ba’t ibang panig ng bansa. Kinontak si Janus ng nagpakilalang Joey, isa rin umano sa mga nakaligtas sa paglalaro ng TALA na gaya niya. Hindi inasahan ni Janus ang mga matutuklasan niya mula rito na mag-uugnay sa kanya sa misteryo ng kinahuhumalingan niyang RPG—at sa alamat ng Tiyanak mula sa Tábon! Si Edgar Calabia Samar ay ipinanganak sa Lungsod San Pablo at nakapagsulat na ng dalawang nobela, ang Walong Diwata ng Pagkahulog (2009) at Sa Kasunod ng 909 (2012). Itong Janus Sílang series ang una niyang kathang YA. Nagtuturo siya ngayon ng Panitikan at Malikhaing Pagsulat sa Ateneo de Manila University. Mahigit sampung taon na ang nakararaan nang una siyang makakilala ng isang Púsong. Go to Xi Zuq’s Nook or the Adarna House Blog to see the other blogs participating in the tour. Visit edgarsamar.com for more of Samar’s work, and follow him on Twitter: @ecsamar. Like Janus Silang on Facebook to be updated on events and promos regarding the book. Visit Wattpad or TALArchives.Net to read the first chapter. And don’t forget to join our raffle for a chance to get a free copy of the book or limited edition merchandise from Adarna House!